An Irish court has heard how a postman failed to deliver thousands of letters out of “pure laziness”. Oliver Ennis (27) was given a suspended sentence at Dublin Criminal Court, for stashing undelivered letters in his trunk, so he could clock off from his shift early, the Evening Herald reports. The Dubliner pleaded not guilty to "detaining and delaying" more than 2,500 items of post at the Shelbourne Road Sorting Office between December 1, 2008, and July 8, 2010. 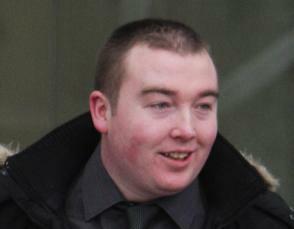 Judge Nolan said: "It would never have struck me that this was a criminal offence until it was brought to my attention. "And thanks be to God it doesn't apply to barristers when they're supposed to send letters," he said. He sentenced him to 18-months for which he suspended two years. According to police at the trial, Ennis told them that if a letter was difficult to deliver, he would just keep it in his car. He said his only excuse was "pure laziness".